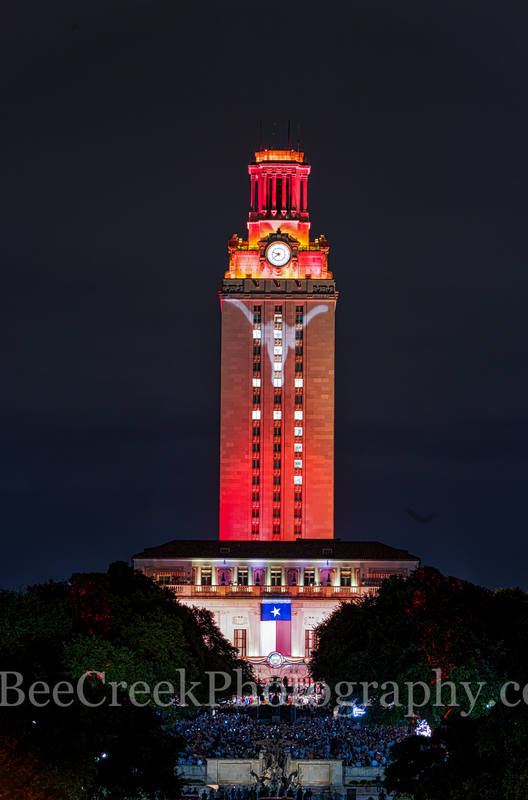 UT Tower with Bevo - We were caputuring some image of the UT tower at graduation in downtown Austin when the tower was lit up in the traditional burnt orange colors of the school and the image of Bevo appeared. Austin UT campus is a major presense in downtown and on this night you knew it was a special night when the tower was burnt orange and with the Bevo on it you knew this was something unique and different to this years graduation. I heard them say their were over 9280 graduates this year so for all of them congrat on your achievment. Photo © copyright by Bee Creek Photography - Tod Grubbs / Cynthia Hestand.